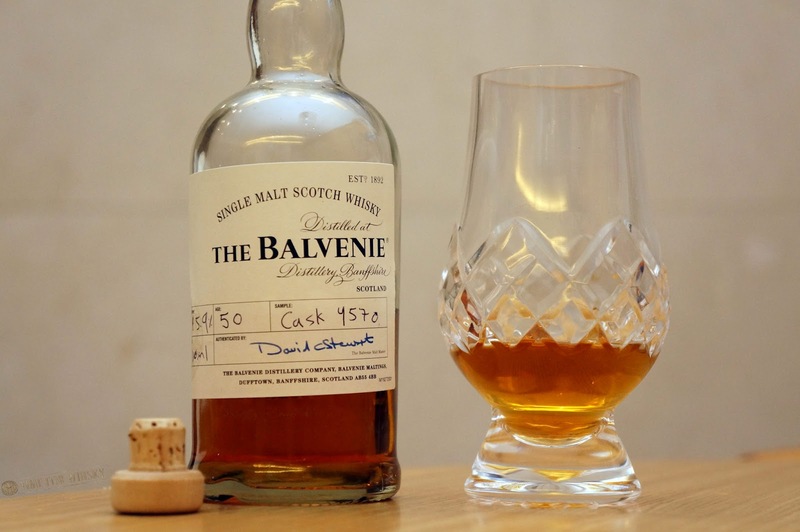 In keeping with the theme of reserving the hundredth tasting posts for rare and/or old whiskies (#200 was a 60yo Glenfarclas, #300 was a 65yo Macallan), "Tasted" post #400 is a 50yo OB Balvenie, bottled by the distillery in 2014. Unfortunately I didn't win the lotto, so I didn't go and drop $47,000AUD on a bottle. This (very, very generous) sample bottle came courtesy of a (very, very generous) benefactor. Often when I have a rare, old or expensive whisky (sample or bottle), I'll try to save it for a special occasion. With this one though, that occasion was "I have a Balvenie 50!" and it was tasted that first night. It was a Monday. 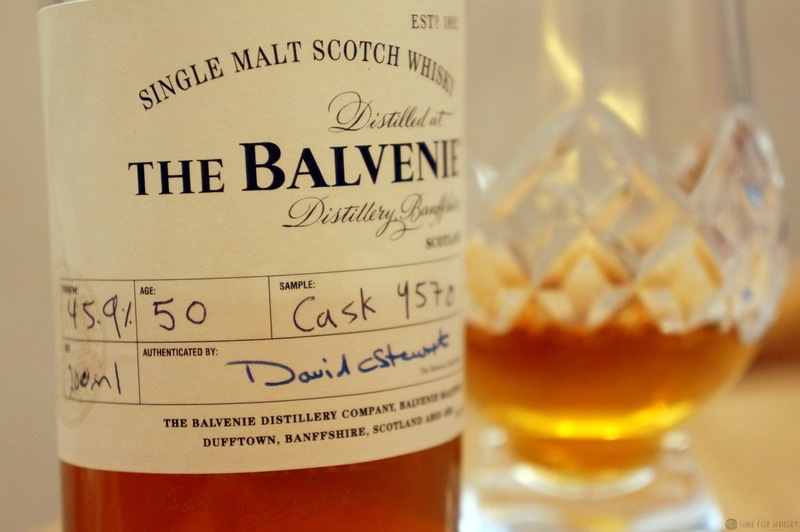 One of two 50 year old Balvenies released in 2014, this was the less sherried of the two, and was distilled on 28th May 1963, with only 128 bottles produced. Colour: Dirty dark copper-gold (awesome). Nose: A slightly OBE-like mustiness at first, quickly developing into rich citrus (tangerines primarily), with deep earthy oak and some sweeter perfumed notes. Cranberries, molasses, spiced honey, cinnamon all show too. After some time, there's some milk chocolate and peanut butter cups. Palate: Slightly earthy / asparagus notes at first. Then spiced honey, vanilla, sweet oak. Some whole ripe oranges and spicy cloves, then a toffee sweetness with some creamed honey. Finish: Medium to long in length. Sherry-soaked pears, more cloves, lots of cinnamon, and some oaky tannins at the very end. Rating (on my very non-scientific scale): 91/100. Not a sherry bomb, nor an oak bomb. Yes there's noticeable oak there (the whisky did spend 50 years in the stuff..) but its not overpowering, and on the whole all the notes are incredibly balanced. A beautifully made whisky that has stood the test of time. Thanks again to the incredibly generous whisky legend who sent me this sample all the way from the UK.